ACES (Aftermarket Catalog Enhanced Standard) is the latest electronic cataloging standard which contain information like vehicle year, model, make, engine and other vehicle attributes in XML format. ACES application has been developed by the AAIA (Automotive Aftermarket Industry Association) to determine different auto attributes in more organized form. There are so many ACES service providers around you having extensive expertise in catalog database management. Let us introduce you with some leading ACES service providers and what they have to offer for manufacturers and resellers of aftermarket industry. 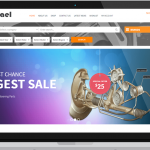 Anzael provide dealers, shops, and other businesses in the automotive industry with powerful data management like ACES Data Mapping, Data Validation, and Quality Assurance, Catalog Printing, Omission Resolutions and research. It offers quality electronic catalog database management solutions such as; ACES data mapping, data entry, database creation and conversion, QA and omission reports, interchanges and research for all standardized aftermarket industry formats. It provides ACES compliant detailed research and catalog production report of OEMs (Original Equipment Manufacturers) like Automotive Lighting. It is a division of Magneti Marelli which is Germany based automotive exterior lighting products manufacturing company. It provides their products to all OEMs worldwide. They provide a Chrome ACES mapping product integrated with Chrome’s Automotive Description Service (ADS) which help users to easily match the right vehicle to the right part. DataAgility provides assistance and ACES compliant data management service with an aim to make manufacturers and resellers completely independent with their data management systems. DataOne provides a vehicle decoding web service which makes easy to decode a VIN to retrieve the applicable ACES IDs as well as DataOne Style ID and vehicle descriptions for users. It also helps to manage the scheduling of daily manufacturer recommended services in aftermarket repair shops. It seems the most reliable ACES service provider having DIY or Do it for me solutions for the Performance and Accessory market. Digital Performance offers auto catalog management service compliant with ACES and PIES standards of aftermarket industry. 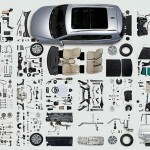 They cataloged over 700 brands, 850K parts covering 10 million applications using their own unique data mapping product called SPEEDcat. They also deliver data service to some of the leading distributors of automotive industry such as; CarQuest, Arrow Speed, Summit, Advanced Auto, Motor State, JEGs, Activant, Keystone, Auto Zone, Wrenchead and over 50 others. They are leading ACES service provider specializes in the development and management of electronic cataloging content for Performance and Accessory manufacturers. They also provide B2B and B2C solutions to all qualified aftermarket WD and Retail businesses. Besides these, there are many other AAIA ACES service providers such as; VCDB Tool, Anzael VCDB and many more. Why should I prefer AAIA service provider? It’s natural to have a question popping into your mind that what are the benefits of choosing AAIA service provider. Well, AAIA service providers are an efficient and reliable option on which you can rely for standardized ACES and PIES complaint catalog management services which include data mapping, data mapping, data entry, database creation and content creation. Call several auto reaipr shops locally until you find one that does classic car restoration. Many classic cars need new glass that is no longer made. They work with glass replacement shops that can “custom cut” glass to fit.While plexiglass might fit once cut it is not as safe as genuine auto safety glass.